Medicaid planning can be difficult to understand. Medicaid is a benefit that pays for long-term care at home or in an assisted living or nursing home. Without Medicaid, many of us would not be able to afford long-term care. Our attorney can help you obtain Medicaid benefits and preserve assets for our clients’ or their spouse’s needs. If you, your spouse or your parent has a chronic illness, needs home care or needs nursing home care, it’s important to know what options are available. One thing to know is that if a loved one is already in a nursing home and paying privately, Bradley L. Greene can still help. It is important to move fast, however. Don’t let rumors of the five-year look back prevent you from preserving assets. When able, we like to work with clients before they need a nursing home. Our attorney and care coordinators review each life care planning client’s health care status and living environment to reduce risk of harm, improve quality of life, and make sure appropriate care is in place and paid for. We aim to make sure that our clients’ needs are addressed in the least restrictive placement and level of care. We help plan this way because we know that if we can help our clients stay at home, and as part of this planning we can often make their assets last longer, and increase our client’s quality of life. Every case is unique, but some clients are able to put their assets in a trust, which prevents Medicaid from counting those assets against them. Other options are available to obtain eligibility while preserving assets to enhance the quality of our clients’ lives. 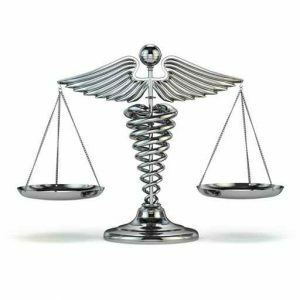 Our law firm has experience explaining the complex nature of Medicaid and creating plans that will allow our clients to maintain or improve their quality of life during their later years. Our elder law lawyer knows how expensive private care at home or living in a facility is, and your funds may run out quickly if you don’t address how long-term care expenses will be paid. We can help you and your loved ones plan for the future. Our main focus is on helping our clients preserve their assets while maintaining a high level of care and quality of life. Creating a plan for Medicaid eligibility will allow you and your loved ones to have a better understanding of Medicaid and provide a sense of relief knowing the elder client will be taken care of in his or her remaining years. Bradley L. Greene, our Medicaid attorney, has a great understanding of complex issues related to Medicaid law. He represents clients in Beachwood, Cleveland, and throughout Ohio. Contact us online or call us at 216-575-5200 for a free phone consultation.